UNITED KinKdom: Hair Modelling for Design Essentials - Part 2: Creating a "Smouldering Fire"
Hair Modelling for Design Essentials - Part 2: Creating a "Smouldering Fire"
If you saw the post prior to this >here<, you'll know I recently had the opportunity to do some hair modelling for Design Essentials at their Chic To Chic Showcase. 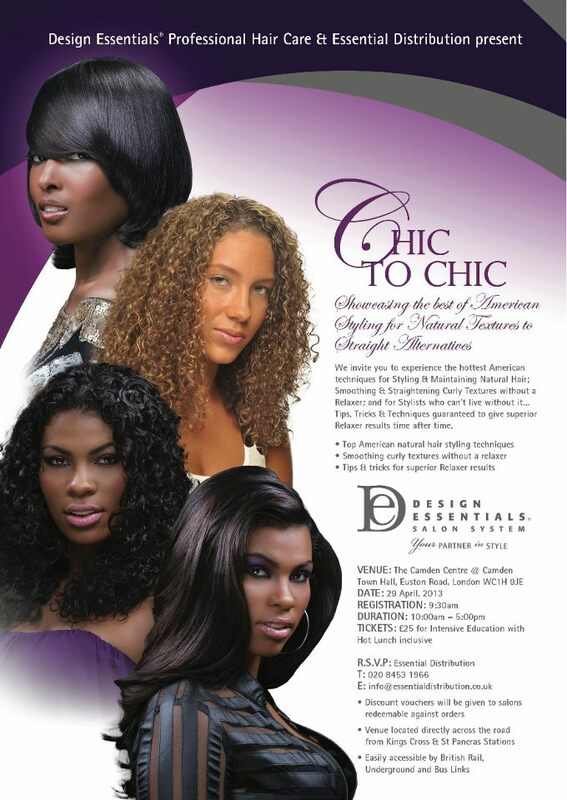 Most of the attendees were professional stylists and salon owners, interested in seeing how the products work. 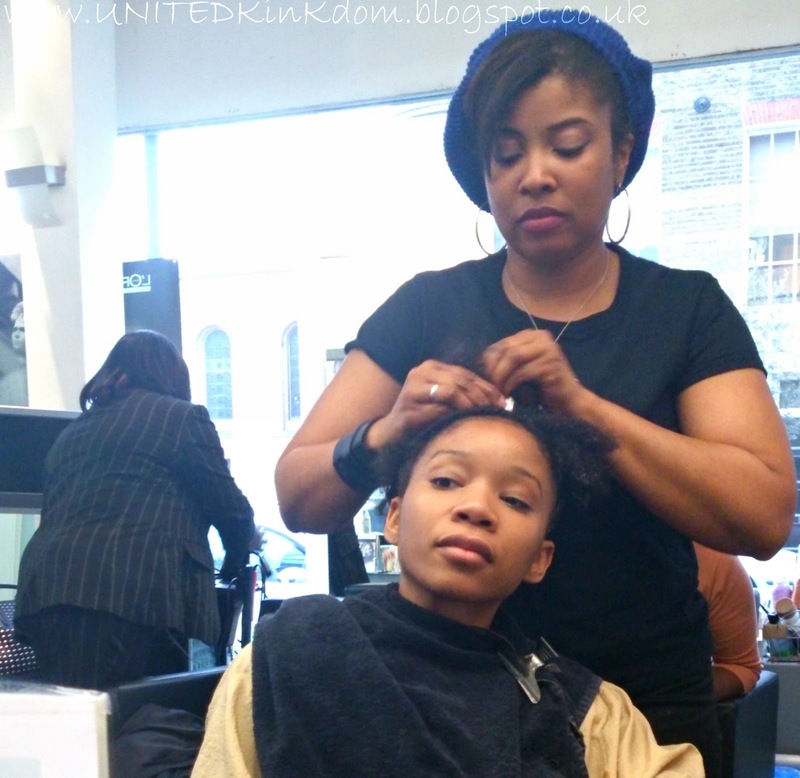 I arrived at MJM Hair Studios in Marylebone the day before the event to have my hair prepped. 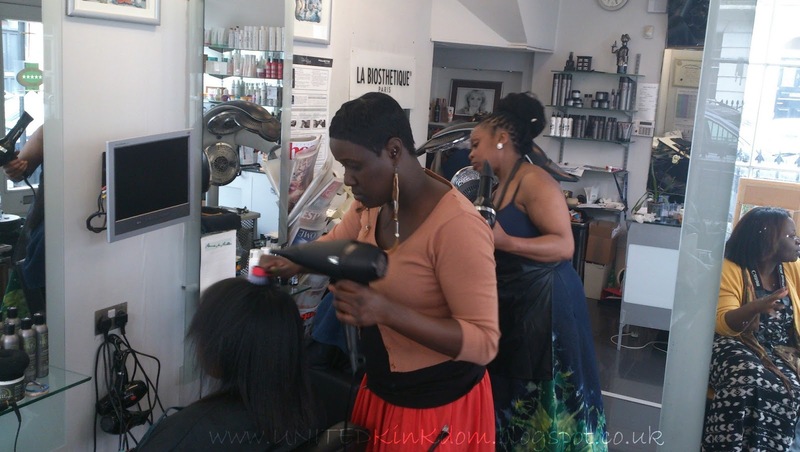 It was great to see Tola & Folu of My Long Hair Journey Blog, who were also being hair models. 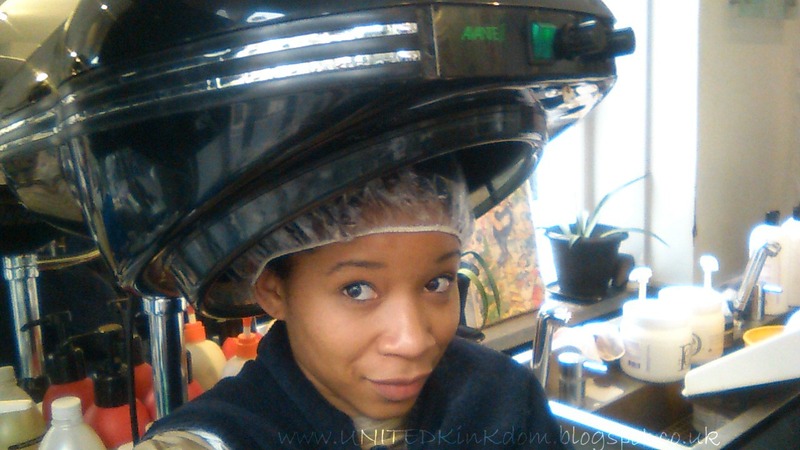 As conversations developed, we quickly came onto the hot topic of Stylists vs Bloggers. The debate was VERY interesting and I plan to address it in a separate blog post soon. I hadn't really thought about the effect Blogs and social networks were having on Salons, but it seems that we're definitely having an impact, and not everyone is happy about it. 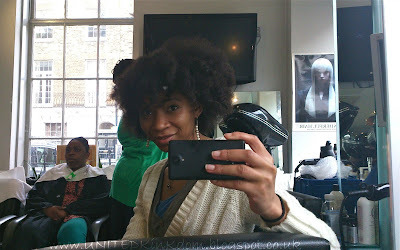 After my hair was shampooed, one of the Assisting Stylists placed some colour on my hair, as instructed by Kimberly. 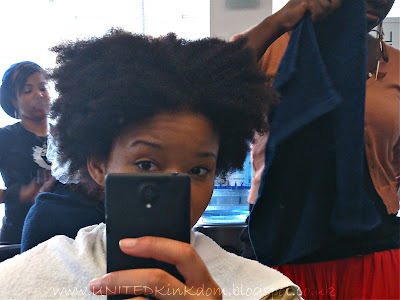 I've never coloured my natural hair, but it was nothing drastic and can't really be seen. 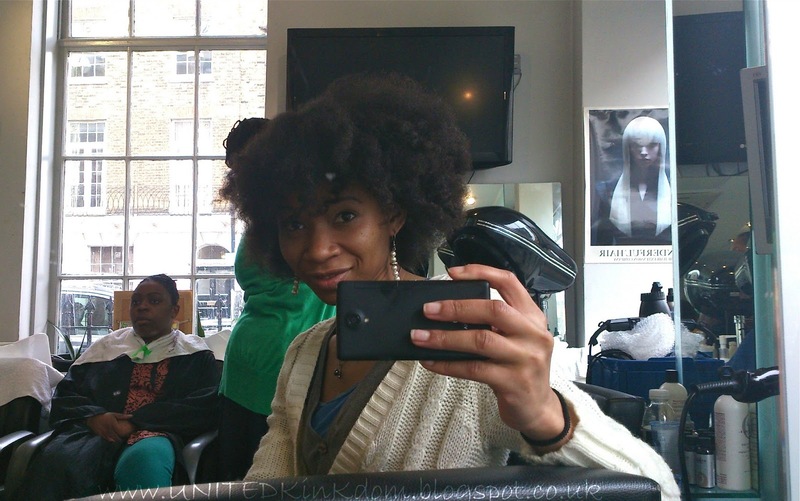 Kimberly just wanted it done to enhance my natural colour. Kimberly eventually styled my hair by doing what she called "Crazy Twists". 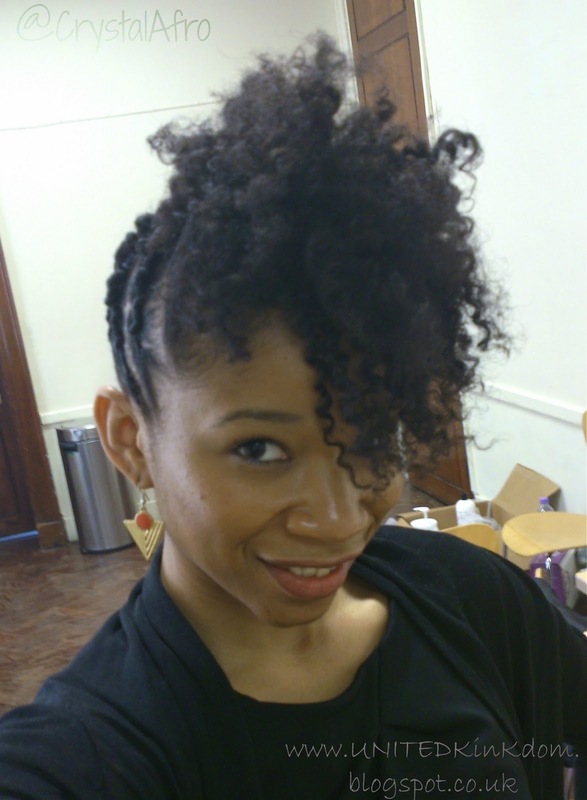 She parted my hair so that the twists travelled diagonally from the back of hair, towards the front left side, where she then did one continuous flat twist in a "S"shape. From what I could gather, the Crazy Twist are created using one strand of hair which is then rolled continuous, while adding hair as you move along the parting; and at random intervals the hair is rolled similarly to that of a bantu knot, before continuing to roll along the parting again. It's hard to explain but I hope to try some myself, soon. 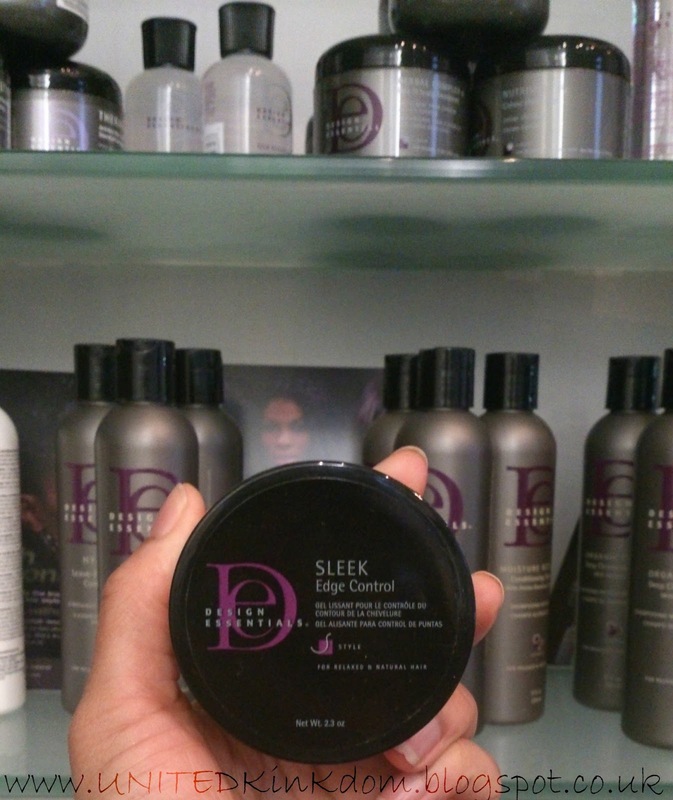 Kimberly used the Design Essentials Sleek Edge Control to roll and hold the twists. 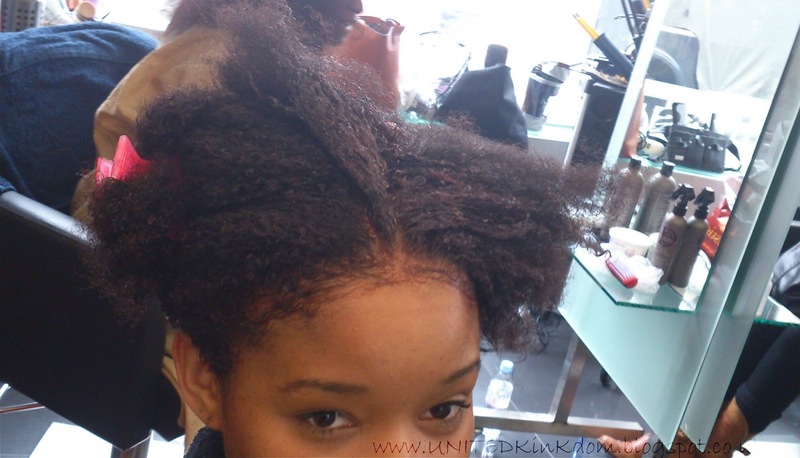 The next day Kimberly took out the flat twist in the front, while I was on stage, so the audience could see how she used the products to created the final look. I absolutely loved it. Overall I love the style (check out the other pics >here<) but I did have questions about some of the techniques Stylists (in general) use to get the finished result. 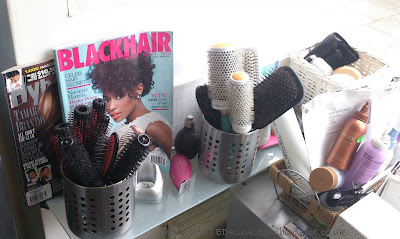 I can understand the need for using hair dryers to set styles, and other things that are done due to time constraints, and there's no way that Stylists can run a business by pandering to everyone's personal hair care practices (for example I dont dry my hair with towels and I prefer to wash my hair in sections). However, I did spot some fine tooth combs in use on natural hair, and although I'm not a professional I don't think that can be a good thing. 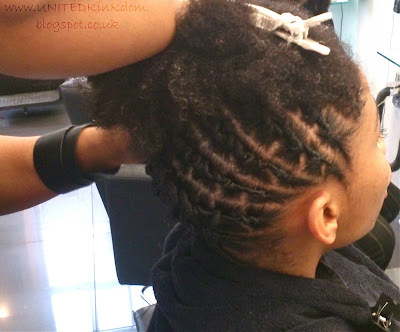 None the less, I really enjoyed the experience as I definitely learned a lot and came away with a fabulous hairstyle as well as a lot to think about.